First of all I wanted to pass on a fun little challenge that my blogging friend, Crys is having! Basically, she's looking for people to send in their craft ideas that they don't have time to finish, and if she chooses yours, she'll make it herself, and then send it to you! Have someone else do your projects for free? Yes, please! I might just have to send her some ideas of my own! :o) Check out her post about it here. 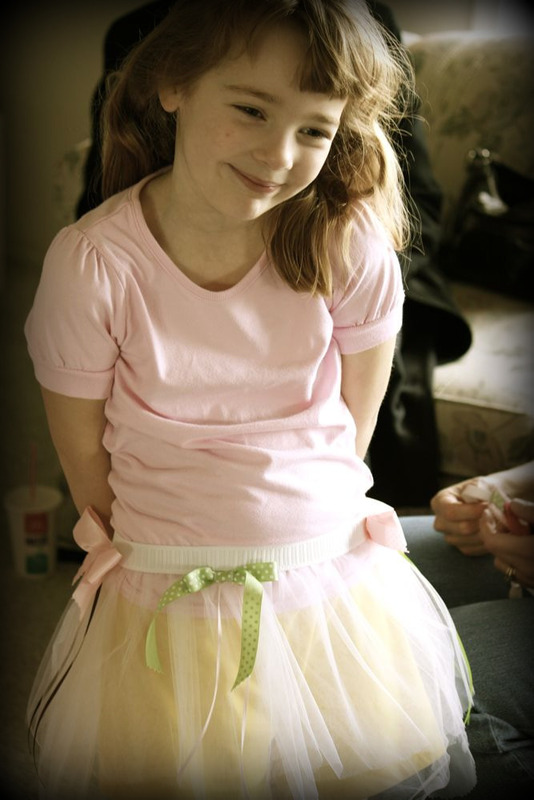 A little girl from church had her sixth birthday party today and Paige and I were invited! And, being the pathological procrastinator that I am, I woke up this morning at 5:30 (4 hours before the party started! ), and started making the gift. :o) I thought I would pass on a few photos of what I came up with! I've been meaning to make Paige some dress up things, and I thought it would be a fun gift idea, too! 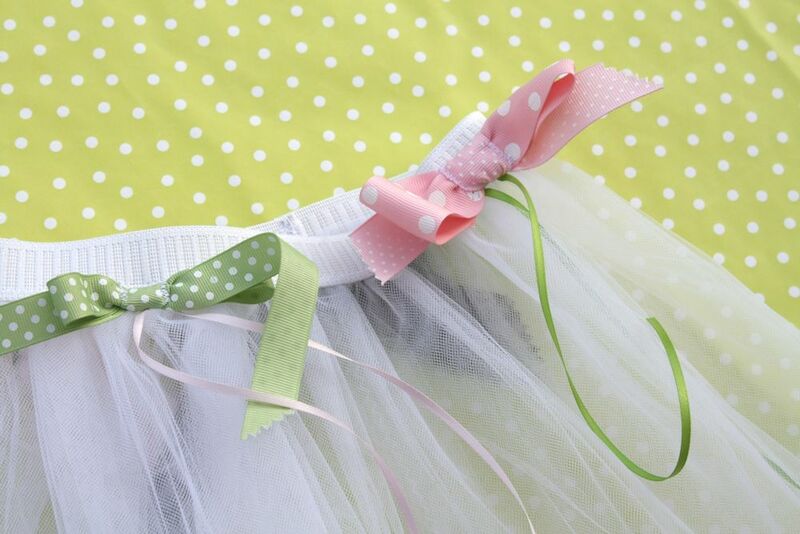 I made a little tutu, using 4 different lengths of tulle, and this skirt tutorial. 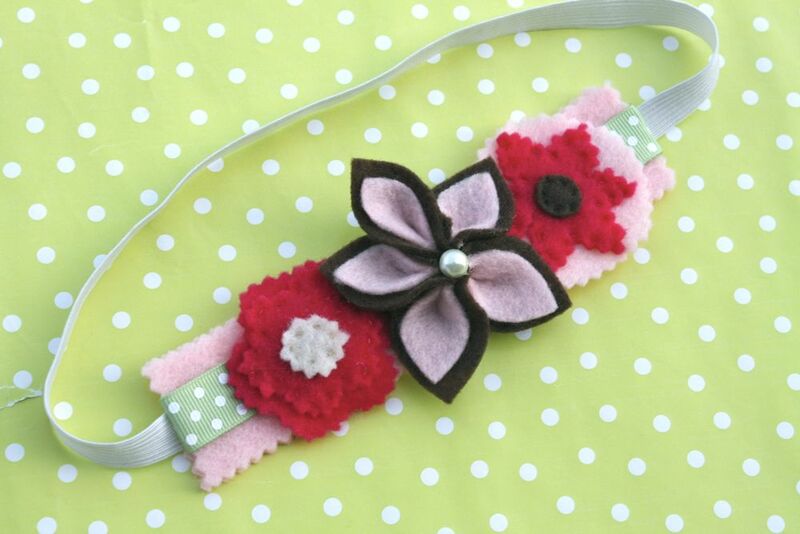 A little headband made of elastic and hand-stitched felt flowers. A little felt flower ring. 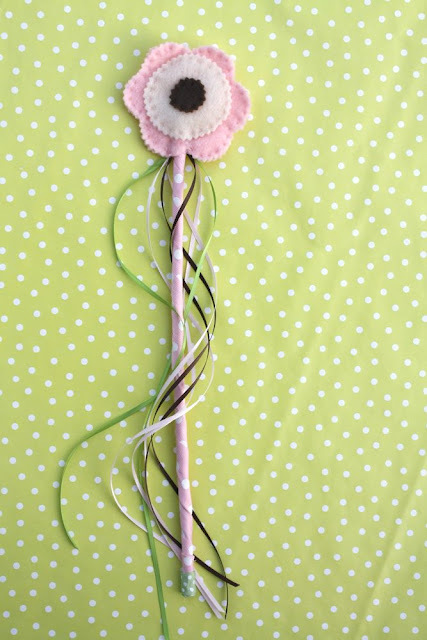 And a wand of felt flowers and ribbon, with an old fake flower stem wrapped in ribbon. She was adorable in it! Such a sweet little birthday girl! Felt and tulle always save the day, don't they? YES!! Felt and tulle to the rescue!! my birthday is in 11 days and i would so love that! that is just adorable and youd never know it was last minute! you are supermom! What great gift ideas! And the birthday girl looks very pleased. Oooh those are sooo cute!! You are so talanted! The is the cutest gift idea! Gerat job!! Cute and imaginative!! Well done. Gorgeous! Such a good idea for a little girl's birthday too! Wow, your good. So pretty. I just made a ballerina crown, used tule for the first time. fun. WOW! I would never be able to make that many things in such a short period of time. You are amazing! Would have headed straight to target. Good for you!! 1. i love SO much that your name is disney. 2. your blog is fantastic. i love it almost as much as your name. I LOVE the wand!! I have four little girls! They need one! I better get busy! Disney, you are amazing! 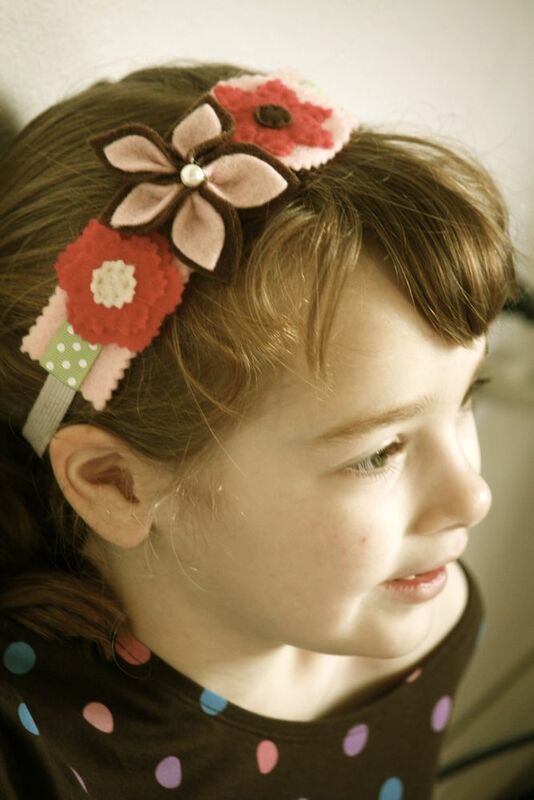 These are so cute - I might just have to make two 'sets' for my cousin's little twin girls - they'd love them! Sooo cute! I love those! Cutest wand! What a great gift! So cute!!! So cute!! I love the ring the mostest!! Really cute idea! This is the cutest present idea. I love it. Thanks so much for the shout out, I have had a lot more projects sent to me, so many cute ideas, cant wait to start them! Wow! The whole set is amazing! My daughters birthday is tomorrow... I sure wish I could whip up a set like that. Great Job! Adorable, and you made them so fast! Yay for procrastionation :) I would love a pretty set like this, even if I am supposedly 'old enough to know better'. Nicely done, these gifts are special. This girl is so lucky! Ah, you are just so talented. 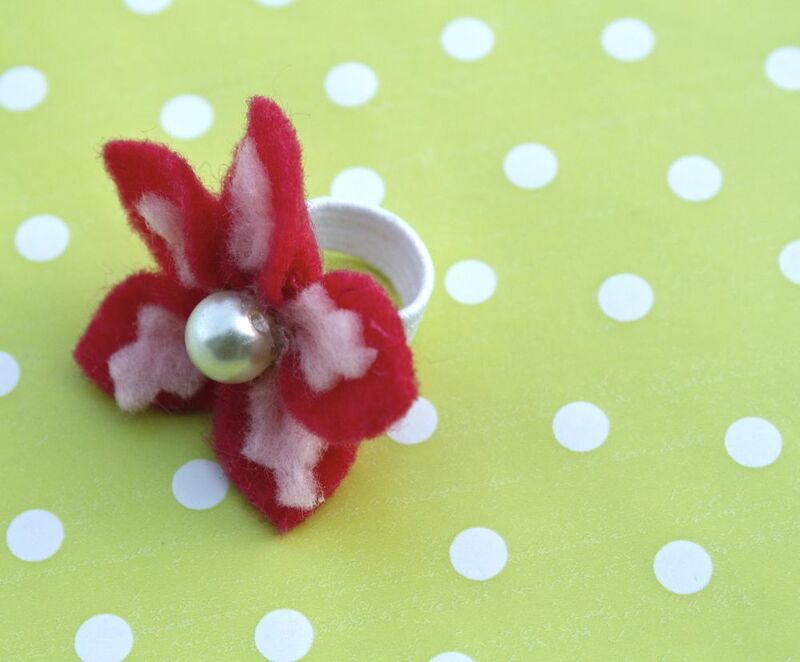 Ooh I'm so in love with that felt ring! That's wonderful! I think gifts like yours that inspire creativity and imagination are the best. 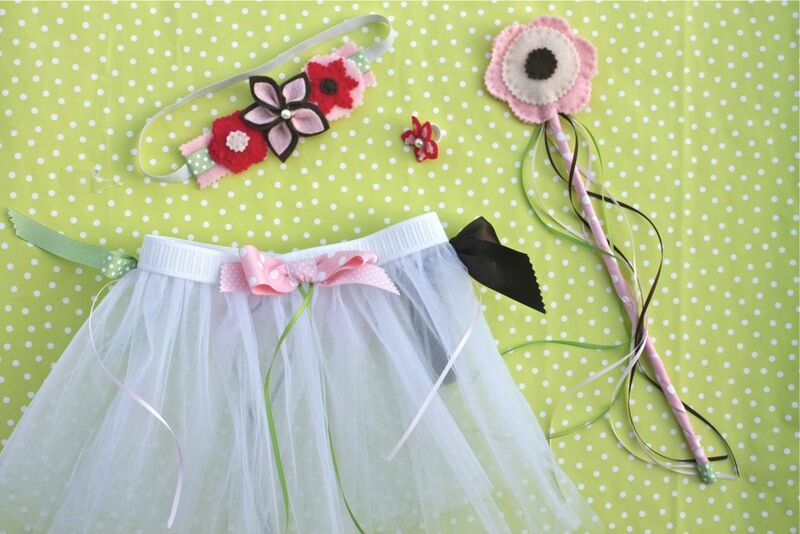 This is the perfect gift for any little princess. I love how mind works. God gave you an extra dose of creativity when he made you. 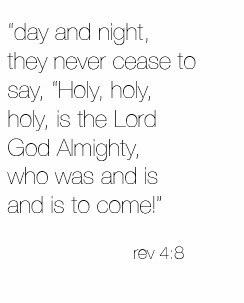 Praise God for His workmanship. You are wonderfully and marvelously made. We will be making some of these for birthday gifts, too! Awesome talent. I can't believe you pulled this together at the last minute. Thanks for sharing the photos. you are so resourceful. and there is no way i would have been able to get all that done in that short of time. Ok, so I featured TWO of your posts on my DIY Roundup ... hope this is ok! I'm just in love with your blog, so many quick and creative ideas!! Wow Awesome. It's really a charming dress gift. And I like this one very much. And it's a special gift for one's little sister.